Block buster movies have been made about it and every great story seems to have an aspect of it. Songs have been and continue to be sung about it. Books have also been written about it and most magazine articles continue to be written daily about it. Love is a subject that we are all fascinated with and that is because we desire to love and to be loved. But what is love? The world has told us many things about what love is. We have been told it is an emotion. The dictionary tells us that love is a feeling when two souls are drawn together. Others have told us that love is something that comes over us and we have no control over it. I guess that is why we say we fall in love, because we have no control. But what does the bible tell us about love? 7 Beloved, let us love one another, for love is from God, and whoever loves has been born of God and knows God. 8 Anyone who does not love does not know God, because God is love. According to the bible, God is love. This means that love is holy pure and sacred just like God is because He is love. Love is from God; He is the originator because He is love. This means that in the absence of God then love can never exist. That is a powerful statement because it means that the world has been deceived with a counterfeit of love from the enemy and they think it is the real thing. Some of us believers have conformed to the patterns of this world because we have also believed love to be what the world has defined it to be, no wonder many of our relationships are not working. Jesus said the greatest commandment is to love the Lord your God with all your heart mind and soul and the second is like it, love your neighbour as yourself. 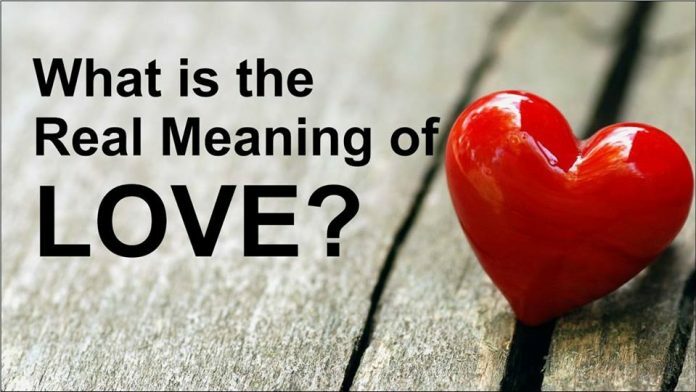 This has been a challenge for many because we have the wrong concept and definition of love, we are trying to operate this scripture using the world’s definition of love, a love that is conditional and is driven by emotion and feelings, a love that is self-centred and selfish, no wonder many of our relationships are dysfunctional. To know and experience true love then we must connect with God to know Him because He is love. Everything else is a counterfeit from the enemy.